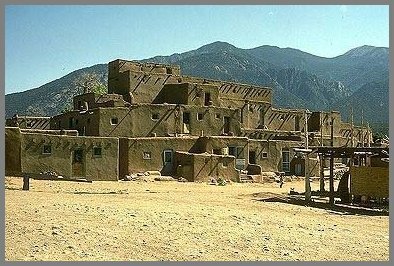 By Jessica DyerBeen to Taos Pueblo yet? Comment: I visited Taos reservation once, but it was closed that day for religious reasons. Alas. For more on the Native tourism, see Navajos Protest Wallenda Walk and Alaska Native Voices. "Comment: I visited Taos reservation once, but it was closed that day for religious reasons. Alas." No doubt by Natives that have an IQ lower than yours because their religion is different from yours, right, Rob? Wrong, but nice try to stupidly misrepresent the research I shared with you. As a conservative Christian, you probably weren't bright enough to understand it.